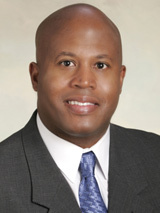 Dr. John W. Hodge is president and co-founder of Urban Learning and Leadership Center (ULLC), an organization focused on student achievement and reduction of the achievement gap. He has served as a reading teacher, English teacher, AVID teacher, Assistant Principal and Associate Director of AVID Center Eastern Division. He served as Director of An Achievable Dream Academy, an inner city school that piloted many of the interventions used by Urban Learning and Leadership Center. An Achievable Dream Academy is a high performing, high poverty school that has received numerous national awards. John received his Bachelor of Science degree from North Carolina A&T State University where he graduated with honors. He later received his Master of Arts degree from Chapman University. John completed his academic and professional preparation by earning a Doctor of Education degree from Virginia Tech where he conducted extensive research on factors that contribute to the academic success and/or failure of impoverished children. What sets Dr. John W. Hodge apart in the field of education is his well-documented ability to put research and theory into everyday practice in rural, urban and suburban schools. Dr. Hodge has helped educators in elementary, middle and high schools make the necessary changes to help all children meet and exceed rigorous academic standards. He is known as a master teacher and staff developer. Dr. Hodge’s career has been defined by assisting students and teachers overcome obstacles and achieve goals. He has served as an inspirational speaker across the United States and has been a guest lecturer at Christopher Newport University, Hampton University, North Carolina A&T State University and The George Washington University. Dr. Hodge is a trained facilitator for the (SREB) Leadership Initiative Modules “Leading Assessment and Instruction” and “Creating a High Performance Learning Culture”, and a trained assessor and facilitator in the National Association of Secondary School Principals (NASSP) “Developing the 21st Century Principal” program. Meetings and Conventions Magazine, a leader in the conventions industry since 1965, polled conference organizers about the best speakers they’d heard in recent years. Poll respondents listed Dr. John Hodge along with Mr. Steve Forbes, Gen. Colin Powell, Former First-Lady Laura Bush, Dr. Condoleezza Rice and Rev. John Maxwell among the very best speakers. Dr. John W. Hodge is truly one of America’s most respected new voices in education. His presentations are often “the spark” for schools in their quest to meet and exceed state/federal accreditation standards and implement strategies for continuous improvement. Dr. Hodge is an expert in helping schools create and sustain academic excellence. Prior to starting his career in education, Dr. Hodge distinguished himself in the service of our country with the 7th Infantry Division of the United States Army. The education of America’s youth is a challenging prospect when one considers the many burdens faced by impoverished children and their families. Research indicates that poverty need not be a barrier to academic excellence. As co-author of the book Standing in the Gap, Dr. Hodge states, "across the nation, schools are demonstrating that it can be done: That students can reach high standards, that all children can succeed, that the gap between white and minority students, poor and affluent, can be closed." More often than not, one caring adult can make all the difference in the world. Today’s presentation will encourage all of you to be the one! This presentation is designed to help school districts meet and exceed the Common Core Standards with their students. Dr. Hodge will discuss the clarity and collaboration among all stakeholders needed to achieve success for all students. He clarifies not only what schools need to do, but also what schools boards must do to support the journey. This presentation provides research supported strategies designed to help children bounce back from adversity. Dr. Hodge shares not only the relevant strategies that can be used in schools, but also the framework, S.A.M.E. (Social-Academic-Moral-Education) that can be embraced from school boards to classrooms to support resilience in all students. Across the nation, schools are demonstrating that all students can reach high standards, that all children can succeed, that the gap between white and minority students, poor and affluent, can be closed. This book distills the lessons that can be learned from those schools in a common-sense guide that can be used by practitioners. It gives principals and teachers, school board members and administrators, a guide for putting to work in the own schools the practices that really make a difference in student achievement. It can be done... it must be done... and this book will show you how it can be done in your school, with your students.